The latest music video from Tech N9ne’s Welcome To Strangeland has proven to be a juggernaut as fans have shown their strength in numbers on XXL‘s website. “Who Do I Catch” was exclusively premiered by XXLMag.com recently, and like many videos before it, it gathered a considerable amount of buzz online. Directed by Dan Gedman of Liquid 9, the brand new music video is as twisted as Tech N9ne’s imagination with flashy sequences and outrageous visuals that only a face painted Tech N9ne could provide. Fans immediately began sharing the video and helped push the premiere to the top of latest trends in the Strange Music world. If the comments left on XXLMag.com are any indication, this just may be Tech N9ne’s most popular video yet! 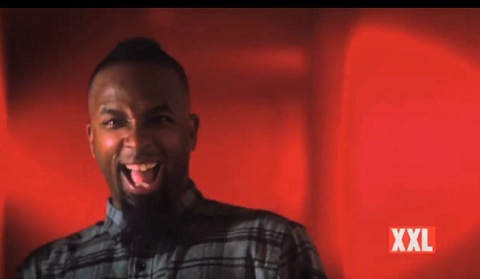 What did you think of Tech N9ne’s lates video? Leave a comment on XXLMag.com and tell them Tech N9ne sent you!